Sunday 27th May 2012 will see the first ever inter-Heart Town event in Scotland. 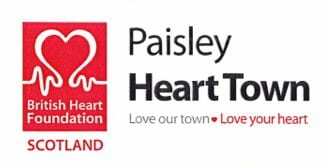 Together with Renfrewshire Council and Community Health Partnership, the British Heart Foundation Scotland is bringing communities like Paisley together through fundraising and volunteering while raising awareness of heart disease. Falkirk is one of the other two Heart Towns in Scotland and to promote heart health in both areas an exciting route (which includes a ferry crossing!) has been drawn up for a family-friendly cycle from the Lagoon Leisure Centre to the Falkirk Wheel. The event gives people the opportunity to take part in an organised cycle taking in 2 historic town centres (Paisley and Renfrew), the famous Renfrew Ferry crossing and the stunning Forth and Clyde Canal route directly to the Falkirk Wheel. The distance is approximately 34 miles and if you think the return journey would be just too much we are providing transport back to Paisley for you and your bike! There will be entertainment, information and snacks at both ends of the cycle and a chance for you to have your bike checked by professionals at the starting point. Entry is open to anyone, however you will need to have some degree of fitness and cycling ability to complete the route, and any children taking part must also be able to last the distance. Some of the route will be on main roads, although most of it is on cycle track, and participants will ride in groups of around 40. The event starts at 10am from the Lagoon Leisure Centre, with groups leaving at 20 minute intervals after that, and it is anticipated that most people will complete the route in 3½ – 5 hours. Buses will leave the Falkirk Wheel to return to Paisley at 3.30pm and 5.00pm allowing people to enjoy the facilities and spectacle of this fantastic landmark. We can’t organise the weather unfortunately, but we can guarantee an enjoyable and healthy day out! 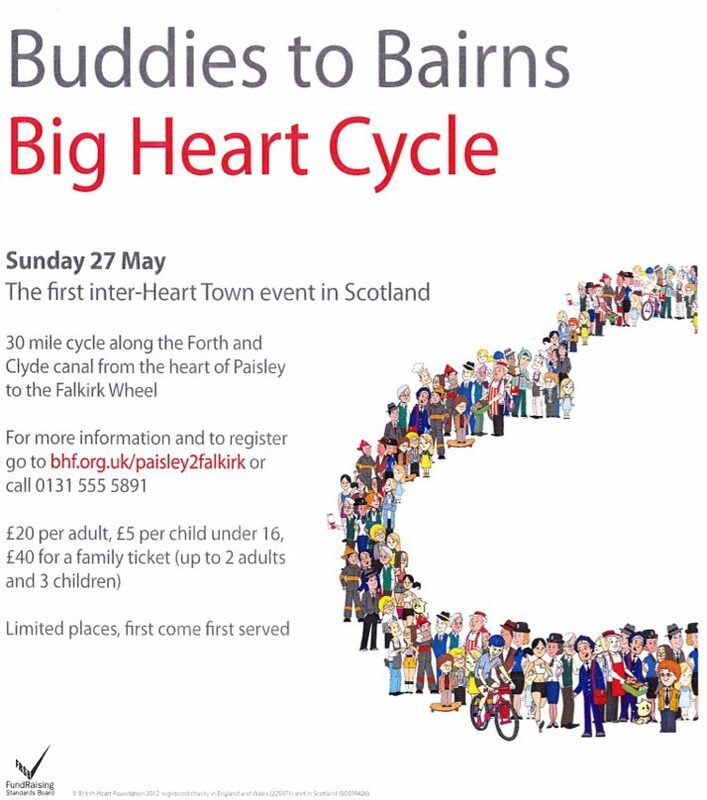 For more information, and to register, go to www.bhf.org.uk/paisley2falkirk or phone 0131 555 5891. 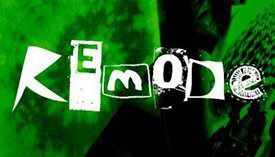 The cost is £20 per adult and £5 per child under 16, however you can buy a family ticket for 2 adults and up to 3 children for £40. This includes transport back to Paisley, the ferry crossing and a BHF t-shirt and goody bag. Sponsor forms are also available from the above sources, and we would very much appreciate it if you would consider getting sponsored to do the cycle to raise vital funds for the British Heart Foundation Scotland. Places will be allocated on a first come first served basis, and they are limited, so don’t miss out!